Cabana Pool Bar is a daytime playground that boasts the finest amenities available and memorable views of the city of Toronto. The 50,000 sq. 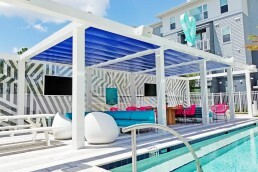 foot patio space was designed by Munge Leunge, inspired by top outdoor party destinations in Las Vegas and Miami. 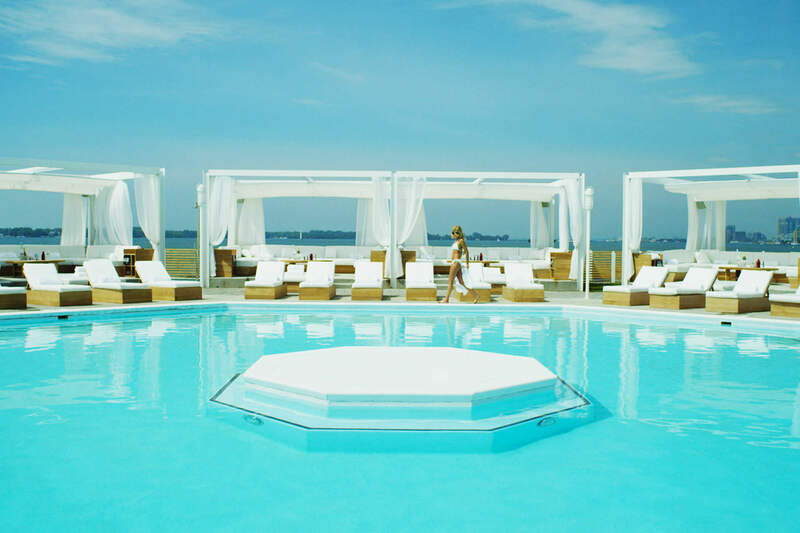 The South Beach ambient space features a large octagonal pool outlined with twelve elevated cabanas with retractable canopies and forty-two oversized chaise chairs to enhance the lounging experience. 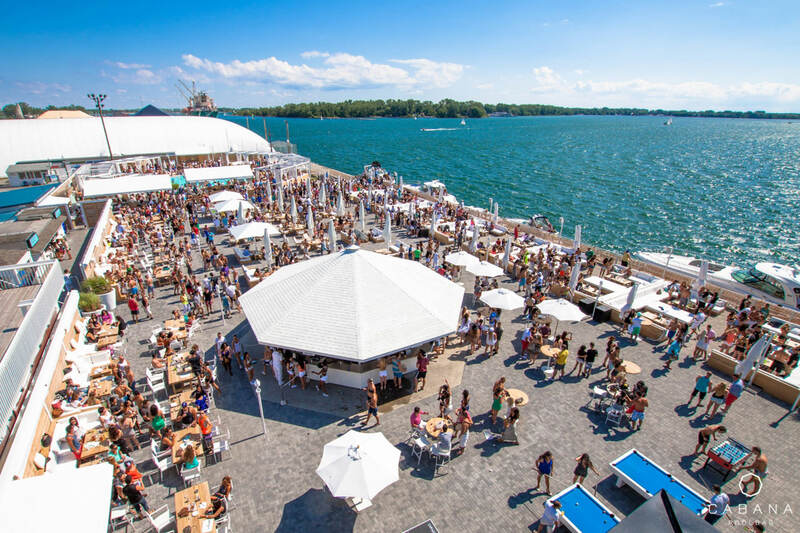 With accommodation for 2,500 and seating for 850 people, the Cabana Pool Bar is certainly one of the city’s most popular day-time destinations. When the designers of the massive 2013 renovation went looking for the ultimate outdoor seating space, ShadeFX was called upon to add that extra element of style and comfort. We worked with the project contractor to ensure a bolt-right-in installation of twelve 16’x16′ retractable canopies. 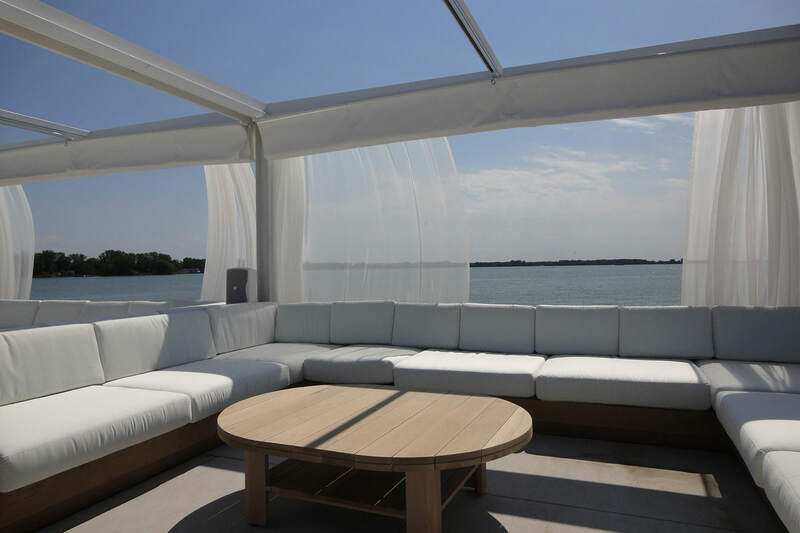 As in all commercial projects, the fabric is fire resistant and the choice of Sunbrella Firesist in Ivory provides the clean fresh look. 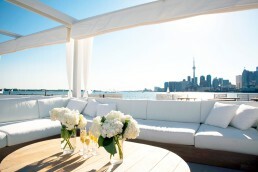 When the designers of the massive 2013 renovation went looking for the ultimate outdoor seating space, ShadeFX was called upon to add that extra element of style and comfort. We worked with the project contractor to ensure a bolt-right-in installation of twelve sixteen by sixteen foot retractable canopies. As in all commercial projects the fabric is fire resistant and the choice of Sunbrella Firesist in Ivory provides the clean fresh look.